Your eyes are an extremely important tool to see the world around you. They are quite possibly the most important part of your body, in that they are used as an essential mechanism for perception and spatial awareness. Something you may not know about your eyes is that they are easily damaged, and over time you can actually be playing a big role in their decline. As your eyes age and become increasingly damaged, they lose sharpness and the ability to properly focus on objects either close up or far away. When you develop nearsightedness, it means you have difficulty focusing on things far away. The opposite can be said for farsightedness. With this sight issue, you will be less able to focus on things closer to you. The following is a blog that lists all the things you do to damage your eyes, that over time contribute to these sight issues. 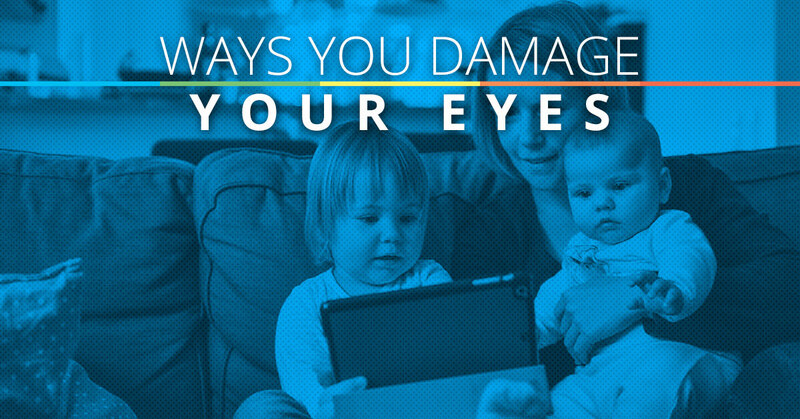 When you watch a screen in the dark — any screen — you cause long lasting damage to your eyes. In fact, any time you strain your eyes to watch something on a screen, such as a computer or TV, you are causing damage to your eyesight. There is a direct link between watching things in the dark and eyesight; when you do this, you are more likely to develop dry eyes, blurry vision, headaches, and fatigue. At the same time, eye strain and brain chemistry play a part in your eye health. It has been found that when you watch a screen before you go to sleep, the amount of dopamine released in your brain is inhibited. Because of this, your sleep and the quality of your sleep is affected. When you do not sleep well, your eyes are immediately affected. Similarly to watching a screen in the dark, zoning out on your smartphone is not good for your eyes either. When you are on your smartphone, you are likely holding the screen very close to your face, using your eyes extra hard to read and interpret messages and images. This close focusing of your eyes can be damaging in the long run, especially if you are using your smartphone at all hours of the day. What doesn’t smoking damage? Everything! We can now connect smoking to a whole list of issues involving the body, and now bad eyesight is one of them! When you smoke, you allow yourself to become vulnerable to cancers and carcinogens. The New York State Department of Health has found a strong correlation between heavy smokers and eye issues such as cataracts and glaucoma. Though cataracts can be removed with surgery, glaucoma is uncurable and can be deadly. It has been found by Eye Care America, that when you spend long hours in the sun without eye protection, you can damage your eyes. The result of extensive eye damage over long periods of time contribute to the development of cataracts, macular degeneration, and eye-related cancers. Though in many ways your vision relies on light to see and interpret images, too much light can severely damage your retinas. If you work in any labor-intensive, outdoor career, sunglasses are an absolute necessity. Save yourself the time and money for eyecare and surgeries by caring for your eyes ahead of time. If you are working outside, or even find yourself in the sun a lot, especially in the summertime, wear amber tinted lenses. The color of amber shades are proven to be more effective in blocking harmful “blue sunlight” or ultraviolet sun rays. As we discussed before in this blog, sleep is extremely important to the health of your eyes. It has been proven that a lack of sleep can create temporary eyesight issues and even impair cognitive processes. In a study on the effects of sleep deprivation, subjects found that they were not able to focus on visual stimuli or judge peripheral distances. If you are continually struggling with sleep deprivation, your eyes can become increasingly damaged. In order to fix and repair your eyes, regulating an appropriate sleep schedule can help with your eye issues. It is important to know the causes of damage to your eyes, in the hopes that you will take better care of your eyesight and pass this knowledge along. Children often are not aware of things that are bad for them; however, if you are a parent, it is your responsibility to protect them and teach them about their own personal care. If you encourage eyecare in you and your child’s life, you both will be at less of a risk of serious eye damage. If by some chance your child has vision issues, it is best to diagnose the problem and treat it right away with vision therapy. Eye damage is gradual and if not addressed, can only get worse. 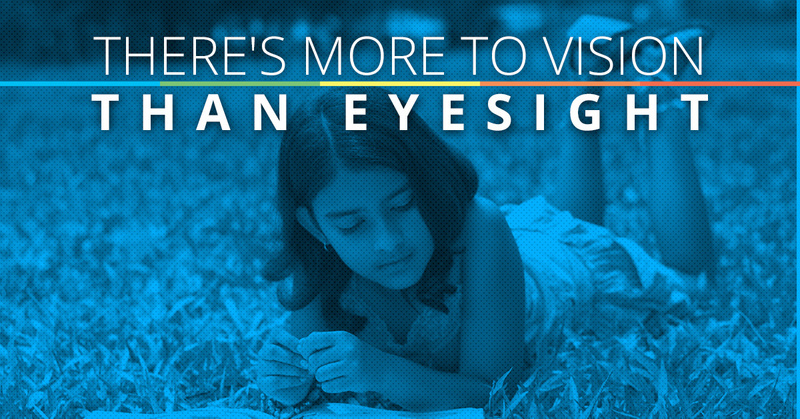 Visit Vision Therapy of San Antonio today, and your child’s eyes checked. By taking precautions for eyecare, you can save your child from eye issues in the future.